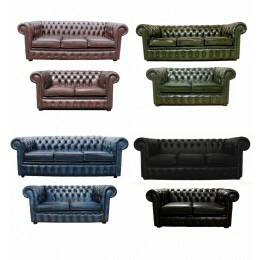 Zest Interiors is home to a selection of Chesterfield sofa suites and sets which include 2 seater and 3 seater settees or the famous Chesterfield club chairs. Handmade with genuine antique leather, Chesterfield sofa and chair sets are the perfect way to furnish your living room with traditional style and quality. 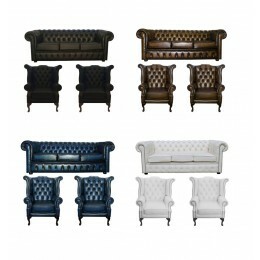 Choose from a leather 3 seater sofa and 2 Chesterfield Club chairs or a 3 seater and 2 seater settee for your home. 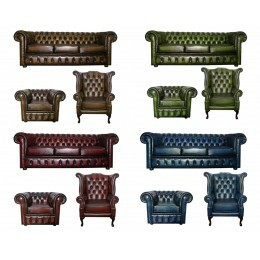 Available in a selection of beautiful colours including oxblood red, brown, blue, green, black and white, there’s a Chesterfield sofa set to suit all environments. 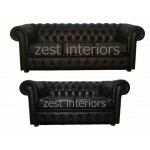 At Zest Interiors we offer the best value Chesterfield settee suites in the UK. Each Chesterfield sofa we supply is built by experienced craftsmen, guaranteeing superior quality at a fantastic price for all our customers. 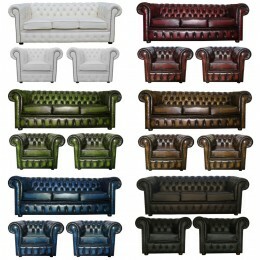 Take a look at our range of Chesterfield 2 seater and 3 seater sofa sets, and settee and chair suites below. If you can’t find what you’re looking for or would like more information, please don’t hesitate to call our Sales Hotline on 0800 085 1422.